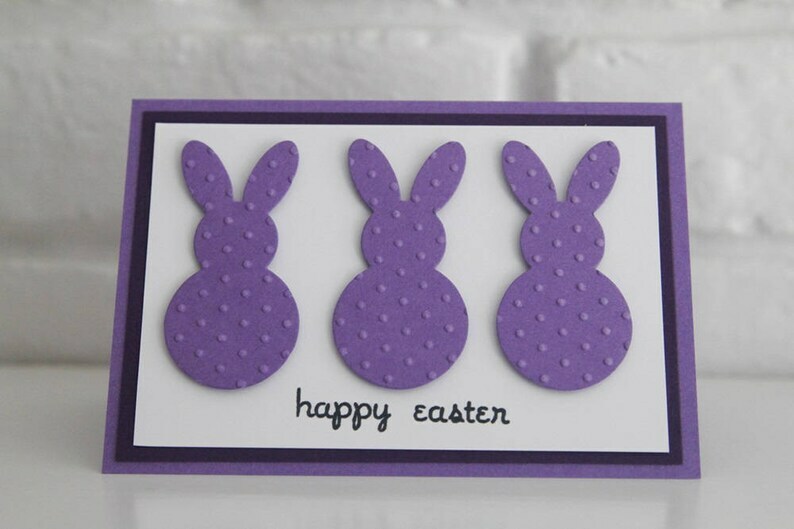 Send adorable Easter wishes with this hand made Easter card featuring three cute dotted bunnies. Whether you are mailing to a grandchild or giving in person with a lovely easter basket, this hand made card is perfect for any child come Easter. The bunnies are die cut and dry embossed with little dots. 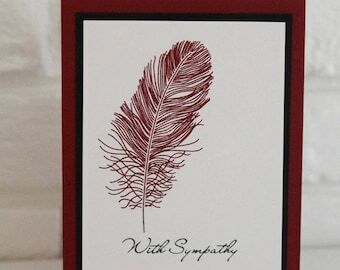 The sentiment is hand stamped with black ink onto white card stock. The bunnies are then placed above the words with mounting tape, giving the card fun dimension. This is then layered onto a deep purple layer of card stock before being placed on a lilac purple card stock base. The inside of the card has been left blank for you to add your own special words. • Card measure 5 x 3.5 inches.